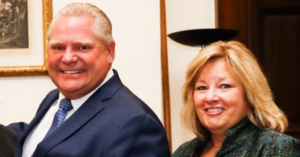 Jason Kenney, leader of Alberta’s United Conservative Party, was the headline speaker at a recent conference sponsored by fringe education groups that promote homophobic and anti-scientific teachings. While one sponsor helped shape UCP education policy and is now campaigning for the repeal of a law protecting students in gay-straight alliance clubs, another provides students with learning material that denies evolution, claims sea monsters are real and suggests humans traveled to the moon 4,000 years ago. 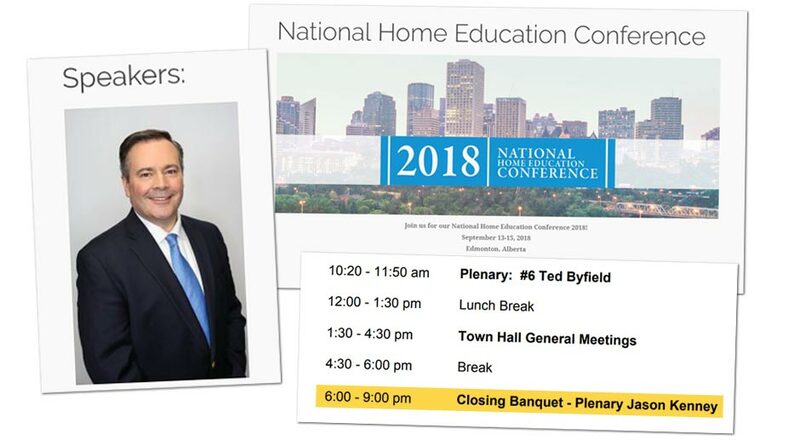 Last month, the Canadian Centre for Home Education welcomed Kenney as its keynote speaker for the closing banquet of the 2018 National Home Education Conference in Edmonton. 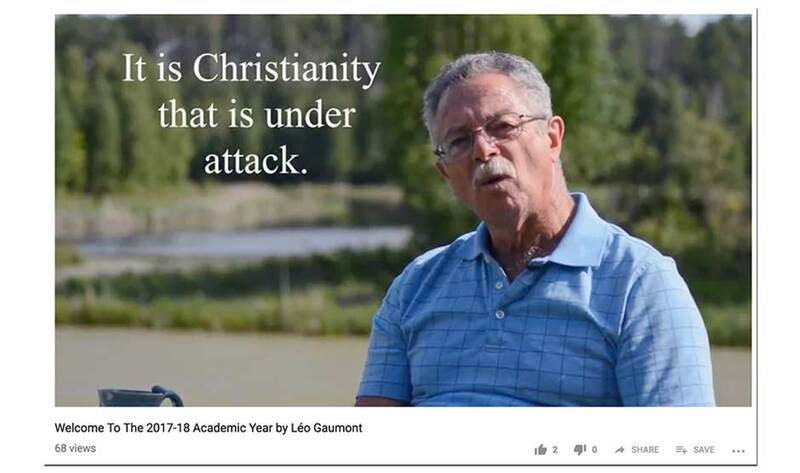 The CCHE promoted the event as an opportunity to “hear from leading experts and connect with others around key issues facing homeschooling across our nation,” however, the event’s agenda suggests it’s more about “Christian political activism” than the 3 Rs. 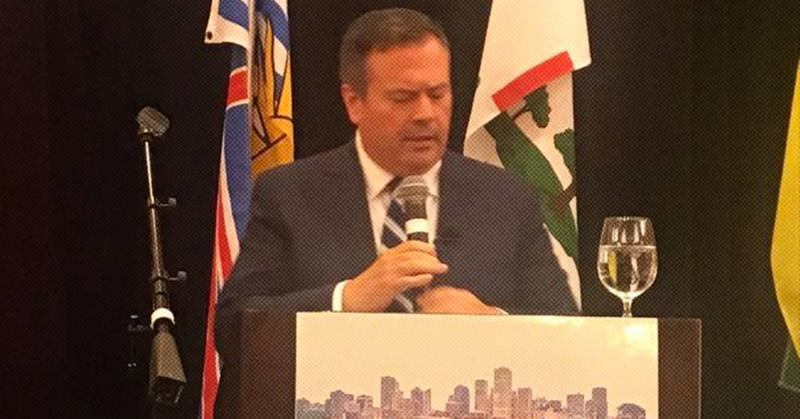 Strangely, Kenney’s appearance at the event appears nowhere on either Kenney or the UCP’s website and social media channels. 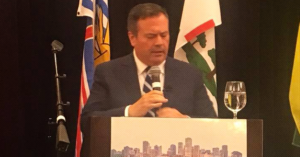 Luckily Maureen Gough, UCP candidate for Sherwood Park, was also at the event and managed to shoot a few photos of Kenney delivering his keynote speech. The Alberta Home Education Association is currently running a campaign against Bill 24, which grants privacy and protections for students who join gay-straight alliances. In fact, the group is currently encouraging its supporters to contact Kenney directly and voice their opposition to the GSA bill. The AHEA also has close ties with Kenney’s party – in a recent post, the organization congratulated its activists for influencing the outcome of votes on education policy at the UCP’s AGM. UCP MLA Nathan Cooper, another alumni of Canada Family Action, made headlines last year when it was revealed he hosted a CFA podcast promoting an author who helped draft a Ugandan law making homosexual acts punishable by death. 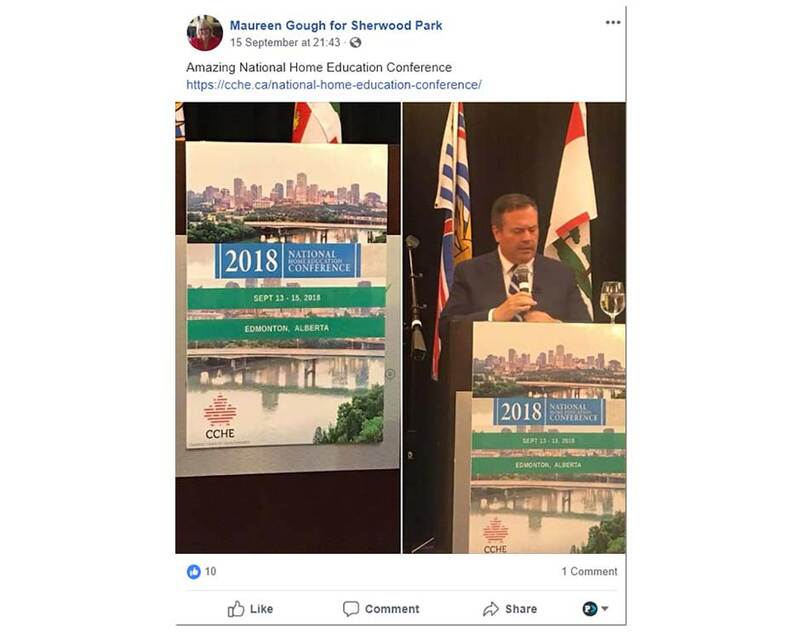 Another sponsor of Kenney’s event was Wisdom Homeschooling, a group that made headlines after it was shut down by the province in 2016 over allegations of fraud, including “financial irregularities” and misuse of public education dollars. • “Cadborosaurus: Survivor from the Deep,” a book Wisdom calls a look at a “very rare and controversial marine species.” The cadborosaurus is actually a mythical sea monster. Another sponsor called Classical Conversations is a company headquartered in the United States focused on providing education resources for homeschoolers. The final sponsor, Education Unlimited, is an organization affiliated with a private school based in Spruce Grove, Alberta.